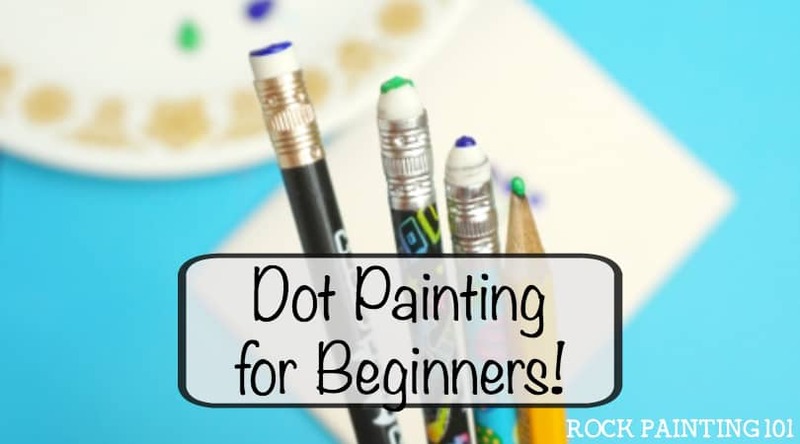 This easy pointillism tutorial is perfect for rock painting beginners. 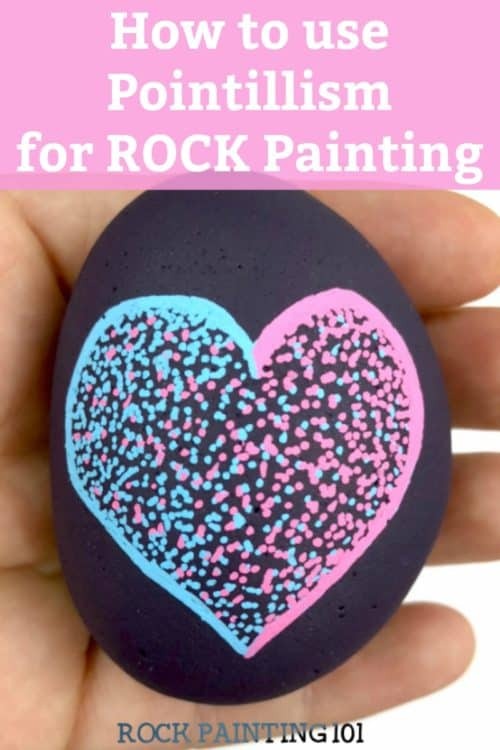 We used this art technique to create a heart rock, but you can paint any shape you want! 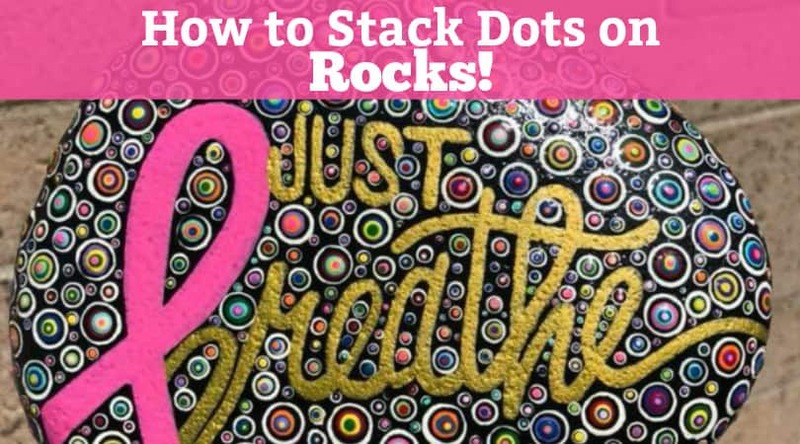 Check out the step by step instructions and video tutorial so you can master this skill. The process of pointillism has been around since the beginning of art. By definition, it is a technique of neo-impressionist painting using tiny dots of various pure colors, which become blended in the viewer’s eye. It was developed by Georges Seurat with the aim of producing a greater degree of luminosity and brilliance of color. I figured why not do this on a rock! So I picked up my paint pens and got started on this easy pointillism project. 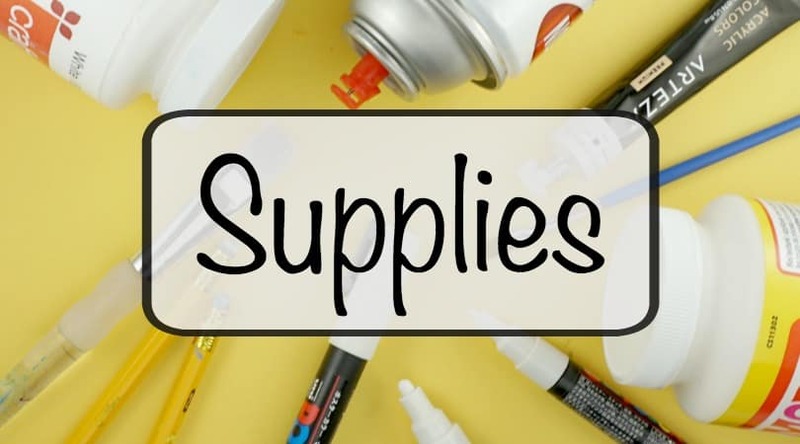 If you don’t have paint pens you could do this same process using anything with a tiny tip. 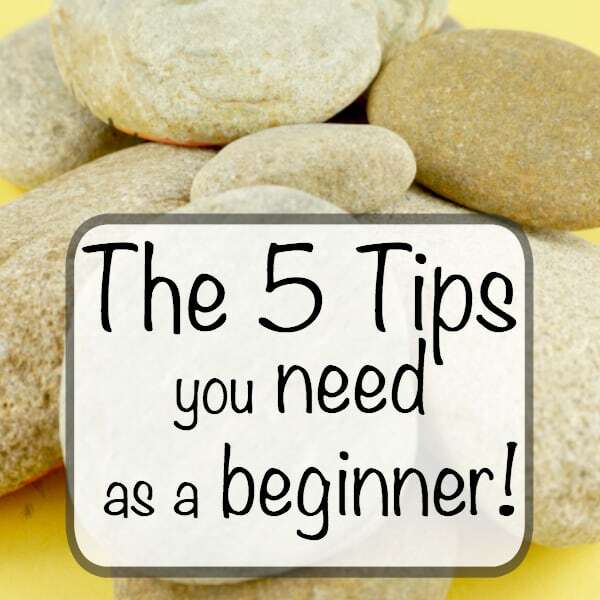 A needle stuck into an eraser, a very sharpened pencil, or a nail. 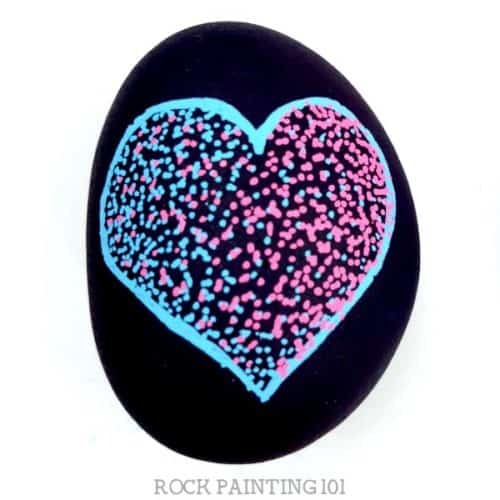 I went with a heart because I love to spread the love around town when I’m hiding rocks. 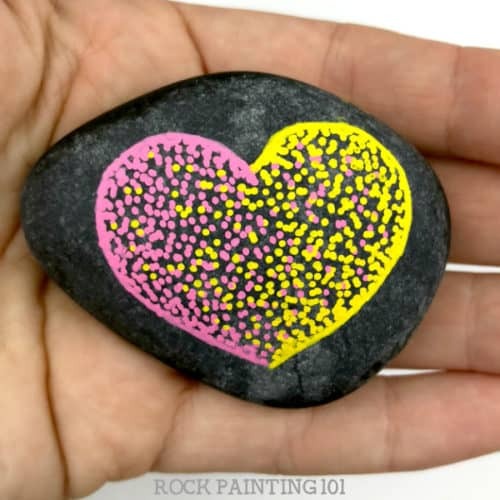 If you aren’t great at freehanding rocks you can watch the video at the end for a little hack to get a good outline onto your rocks. 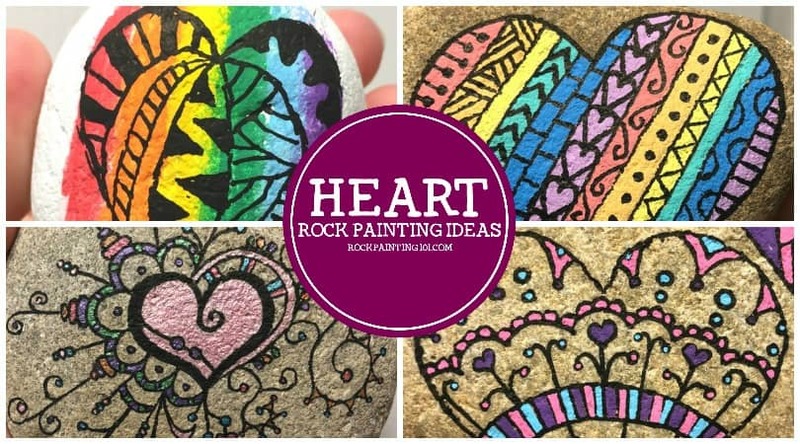 This heart rock is two-toned, but you can use as many colors as you like! 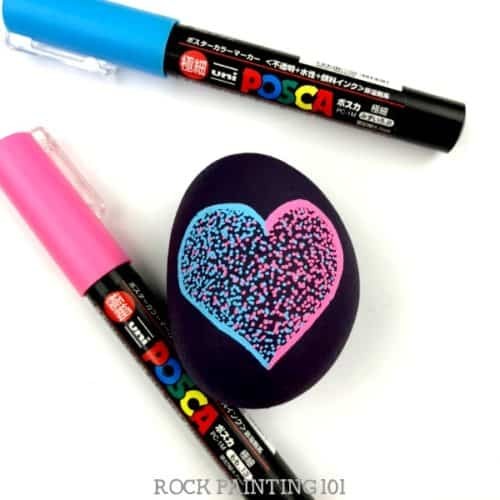 Start by drawing a heart shape. Then begin adding dots along the first side of the heart. Don’t worry about being too precise of placement, you have a lot of dotting to go. Just start on the edge and slowly let them build up. 101 TIP: Make sure to bounce straight up and down so you don’t end up with a bunch of dashes. 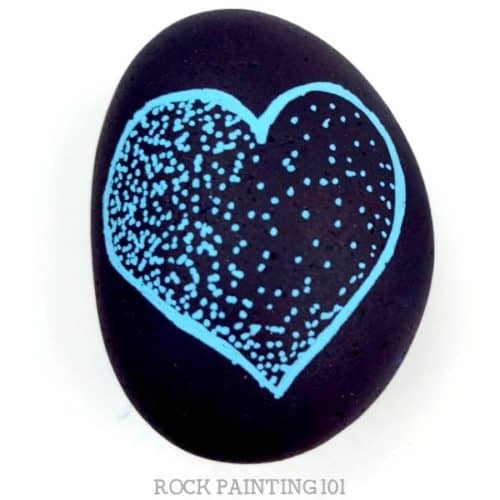 Once you have a good amount of your first color placed, scatter some across to the other side of the heart. Now it’s time to add another color! Repeat the dotting process on the second side. Stack the dots up along the edges and then slowly to the middle, and eventually across to the other side. 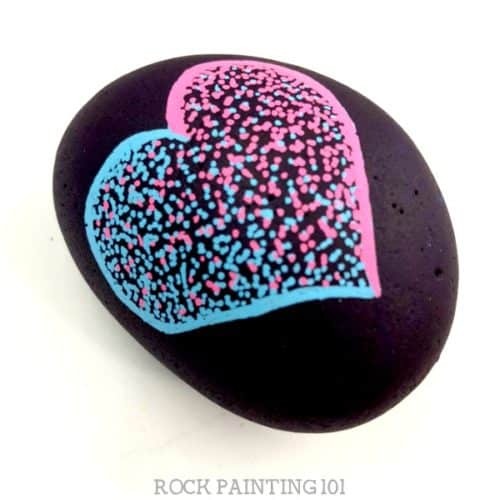 Switch back and forth between your two colors until you like the look of your rock. On your last pass make sure to fill in any gaps that might be left behind. Also, make sure that your dots go all the way up onto the outline of your shape. Finish it off by adding the second color to your outline. What two colors will you choose? 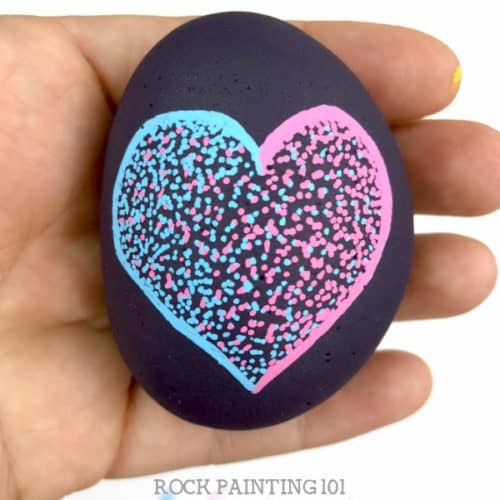 I will admit, I couldn’t stop with just one of these heart rocks. This easy pointillism technique is very addicting! 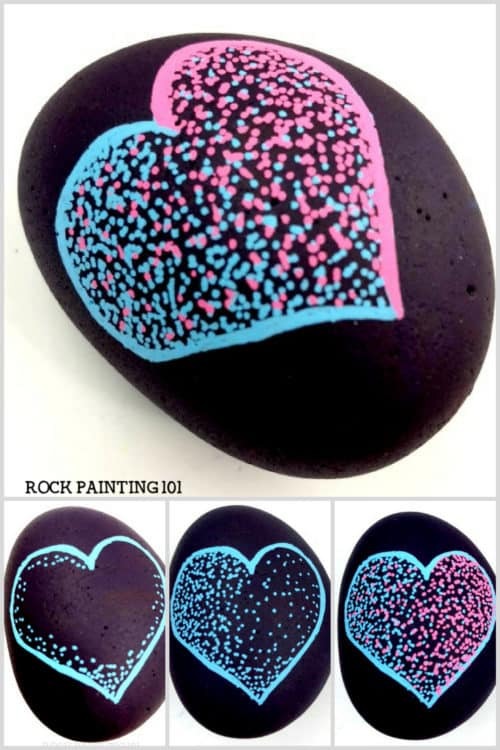 How to paint this dotted heart on rocks! 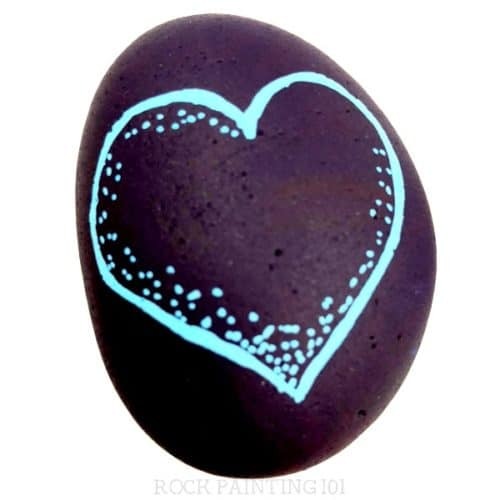 Pin this rock art to your favorite Pinterest board!